It’s that time of year yet again. At Peter Sommer Travels, we are looking back on the 2014 travel season, which ended just a few weeks ago, taking stock of another successful year. But not for long: in the same breath, we are looking ahead to the next one, getting ready for the various bits of preparation and research that we will have to undertake during the winter and early spring – including for some brand-new itineraries! The coming season may seem far away, but new bookings are already coming in – in fact, two of next year’s tours are already sold out (or nearly so)! The most tangible expression of the constant planning and preparation we do in the background is our 2015 travel brochure. The paper version was printed two weeks ago and is now finding its way to homes in no less than 18 countries all over the world. The internet version of the brochure has just gone online – for the first time including direct links to the respective tour pages. As in previous years, I’ll use the occasion of the brochure’s appearance as an opportunity to offer some thoughts and numbers on the ongoing progress of our activities, and to present next year’s new tours. Peter, while exploring in Caria. The upcoming season of 2015 designates a landmark in the history of Peter Sommer Travels. As Peter led his first scheduled tour in 1996, next year marks his 20th season of guiding! We intend to celebrate this by staying true to our ethos: most painstakingly prepared tours and cruises, personal attention to our guests and their interests, and great narrative to inform, inspire and fascinate those who travel with us. Talking of landmarks, that’s not all. Just now, one of our most faithful guests has booked his 10th and 11th tour with us. That’s a record, but not the only one. The same guest’s recent booking includes his third time on Cruising to the Cyclades. That has never happened before: we feel both flattered and proud to receive such loyalty – and humbled as well: we’ll do our best to live up to it. Thank you (you know who you are). And indeed, the 2015 brochure is record-breaking in several regards. It lists 31 tours in Europe on 25 different itineraries, more than we have ever offered before, ranging from early April to late October – the longest season we have undertaken so far. Also referring to our gulet charters and tailor-made land tours, it lists 22 different tour experts and is illustrated by over 220 photographs. If we look back even just three years ago, the 2012 brochure counted 76 pages – and we were proud of that then. The 2015 edition has 136! 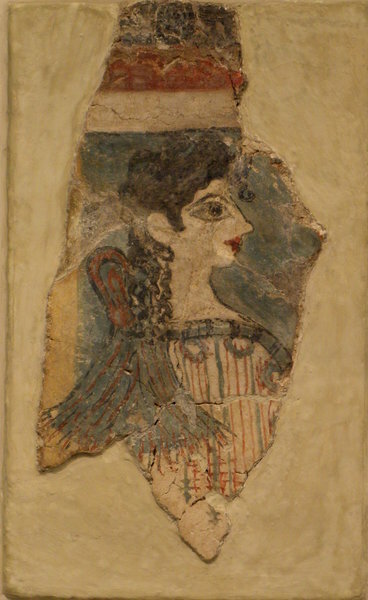 The famous Minoan fresco known as “la petite Parisienne”, one of many things to see on our Exploring Crete tour, introduced in 2013. This sense of steady growth is not a coincidence. 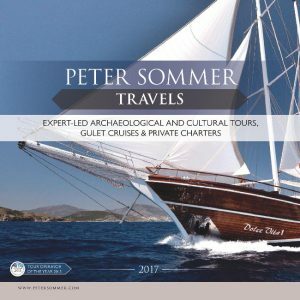 As I underlined last year, in 2009 Peter Sommer Travels decided to expand its itineraries beyond Turkey, where it had established its standards and its reputation by then, and to start offering tours and cruises in Greece and Italy. That year, our entire programme included just three days outside Turkey, visiting the Greek islands of Rhodes and Symi while travelling along the coast of Caria. 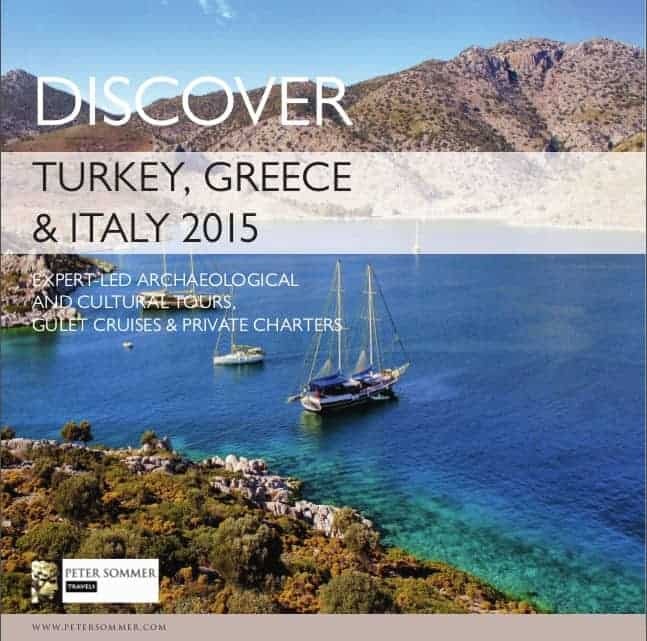 In 2015, our itineraries include a total of 142 days in those “new” countries, 90 of them in Greece and 52 in Italy. And that’s only a momentary statistic – we are continuing to work on new itineraries to add new impressions and new archaeological sites to our portfolio in all three of the countries that we’re active in – and perhaps beyond them. 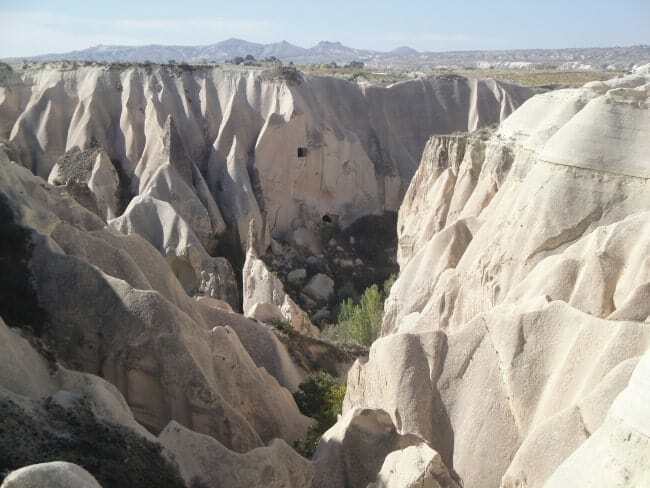 The Rose Valley near Uchisar in Cappadocia (image by one of the guests on the 2014 tour). This year (2014), we offered another four new or updated tours. In Italy, the 2-week Exploring Sicily tour aims to be the definitive voyage through that great island and its immense cultural variety, led by Michael Metcalfe. The first running was a great success and next April’s tour sold out so fast that we decided to schedule it a second time in May. In Greece, we conducted our Exploring Athens tour, led by two archaeologists resident in the Greek capital (Nota Karamaouna and myself) and eager to show our guests around its grand ancient monuments as well as the vibrant modern city. We also led the redesigned and reintroduced 2-week Cruising the Dodecanese, taking our guests to a dozen different islands, linked and separated by a succession of fascinating narratives. In Turkey, we introduced Walking and Exploring Cappadocia and the Land of the Hittites, presenting prehistoric marvels, natural wonders and breathtaking medieval art. Nota led this tour, achieving what one guest called “world class” quality. Exploring the ruins of a windmill near the abandoned village of Karamaka in Caria. 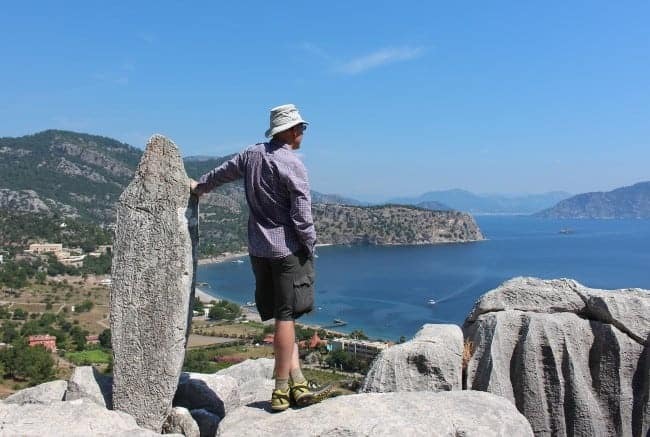 In Turkey, Peter is leading the new week-long Walking and Cruising the Carian Coast. It is inspired by the 2013 inauguration of the Carian Trail, one of Turkey’s new long-distance hiking tracks, and modelled on our ever-popular walking cruises in Lycia. We have been offering cruises in Caria for many years, so we are especially excited to be able to offer a totally new take on this important region where Anatolian traditions merged with Greek cultural influence in antiquity. After revisiting Caria repeatedly, Peter has carefully crafted a superb tour, a succession of shorter and longer walks, giving our guests access to a whole series of beautiful and fascinating sites, most of which we have not been able to present so far, from hilltop citadels via ancient cities to abandoned villages of the last century. Of course, there will also be ample time for swimming, relaxing and enjoying the wonderful food freshly prepared aboard the gulet. 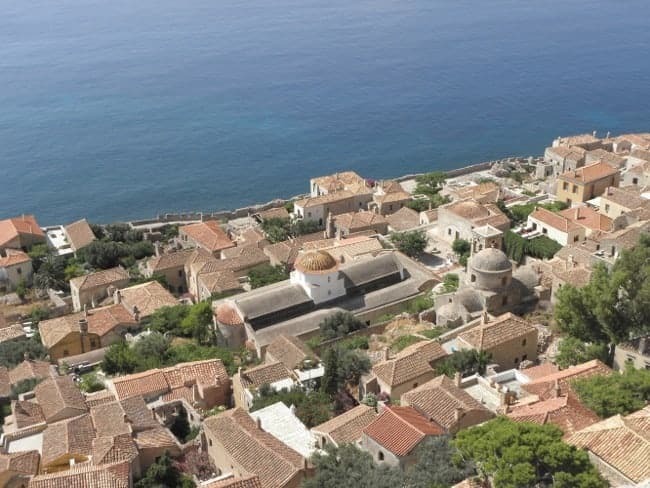 A view of the Venetian fortified town of Monemvasia in Laconia (Peloponnese). Next year’s first new tour in Greece is the two-week Exploring the Peloponnese tour. 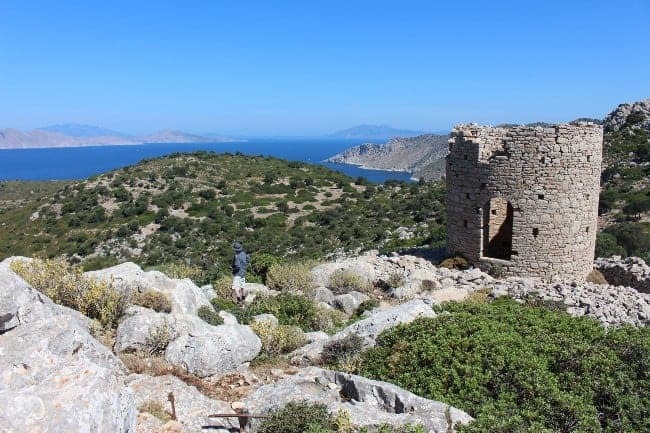 Ever since I joined Peter Sommer Travels, it has been my ambition to offer a tour of the fascinating peninsula that marks the southern extremity of the Greek mainland. Steeped in myth and history, the Peloponnese resounds with famous and evocative names, such as Corinth, Mycenae, Sparta, Mystras, Arcadia, Messene or Olympia. Nota and I will strive to bring them all to life on an itinerary that includes no less than six UNESCO-listed World Heritage sites – another current record for Peter Sommer Travels – ranging from vast prehistoric citadels via great Classical and Roman sites to spectacular Byzantine treasures and settlements of the Venetian, Ottoman and more recent eras. An additional focus of the tour are the region’s traditional cuisine and its famous wines. We will be staying in a number of carefully selected hotels, many of them in historic locations. Detail of the remarkable 3rd century BC lion hunt mosaic at Pella, birthplace of Alexander the Great, in Macedonia. 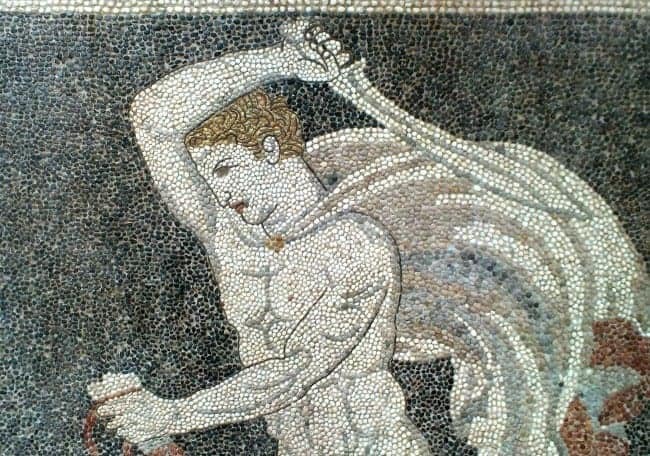 Also in Greece, we have redesigned our Northern Greek itinerary to create From the Slopes of Mt Olympus to the Shores of the Aegean: the Archaeology, Food and Wine of Macedonia. Accompanied by Nota and myself, our guests will spend two weeks discovering a region of immense historical significance and great variety in terms of culture, landscape, cuisine and archaeology. Highlights include the area’s main city, Thessaloniki, with its rich Roman and Byzantine heritage, the tombs and palaces at the Macedonian royal capitals of Pella, Vergina and Aiani, the rock-top monasteries of Meteora, the great Classical city on the island of Thasos, the Neolithic lake-dwellings of Dispilio and much more. The tour includes three wine tastings, highlighting another important factor that had characterised the area for millennia. Our guests will stay at a series of superb venues, including fine city hotels as well as renovated traditional mansions. The Arch of Titus and the Colosseum (both 1st century AD) in the heart of Rome (image by Alexander Z., Wikimedia). In Italy, we are taking on a historical giant in our Exploring Rome tour, our third city tour. Some may say it’s overdue, but as always, we have laid our emphasis on the most careful and detailed preparation possible. Led by Paul Beston, a connoisseur of the city, and Michael Metcalfe, Peter Sommer Travels’ Italy expert, the tour aims to offer a definitive experience of one of the world’s most celebrated cities, with its vast history ranging from antiquity to the present. Based in a hotel that is itself a historical building, it will include tours of the famous main sites, such as the Colosseum, the Forum or the Pantheon, but also of hidden gems. The jaw-dropping collections of the Capitoline and Vatican Museums will introduce our guests to key works of ancient art. 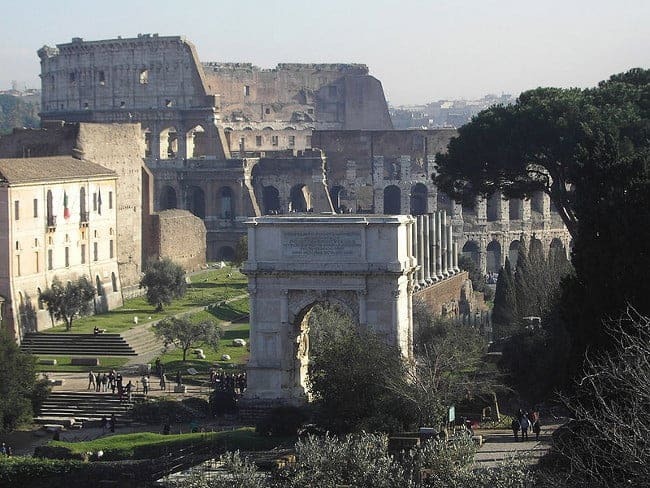 The tour also includes excursions to the astonishingly well-preserved Roman port town of Ostia and to the emperor Hadrian’s vast and luxurious villa at Tivoli. Additionally, there’ll be ample opportunity to savour Italy’s famous cuisine. Interested? You can request a paper copy of the 2015 brochure through our website. Alternatively, you can browse it online, or download it as a pdf file.